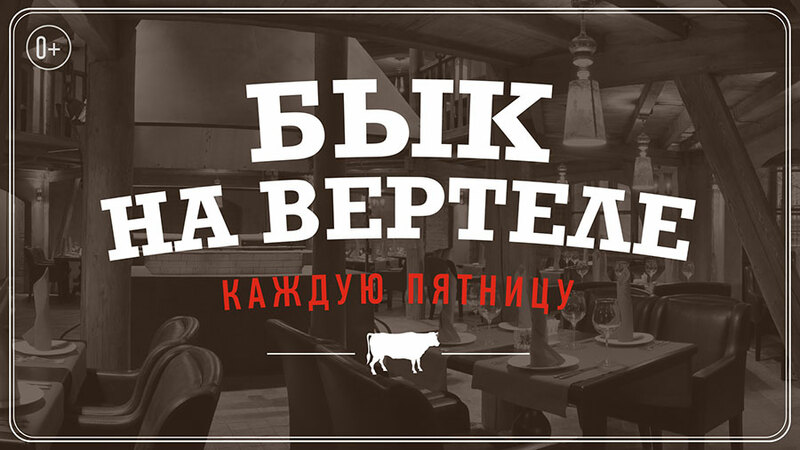 One of the most popular dishes of the Bochka Restaurant – charbroiled young bull beef – is coming back after the summer holidays! And again, every Friday the young bull will be cooked on roasting jack. But not the result comes first here – an exceptional slab of fragrant tender meat- but the process itself – the meat is cooked on the open grill in the middle of the restaurant. Our chef Igor Bednyakov cooks a young bull on roasting jack following the ancient recipe that came down to us from knight’s tournaments of medieval. Don’t miss a chance to taste a proper piece of juicy, steaming beef in sauce Chasseur (i.e. Hunter’s sauce). The party starts at 08:30 p.m.